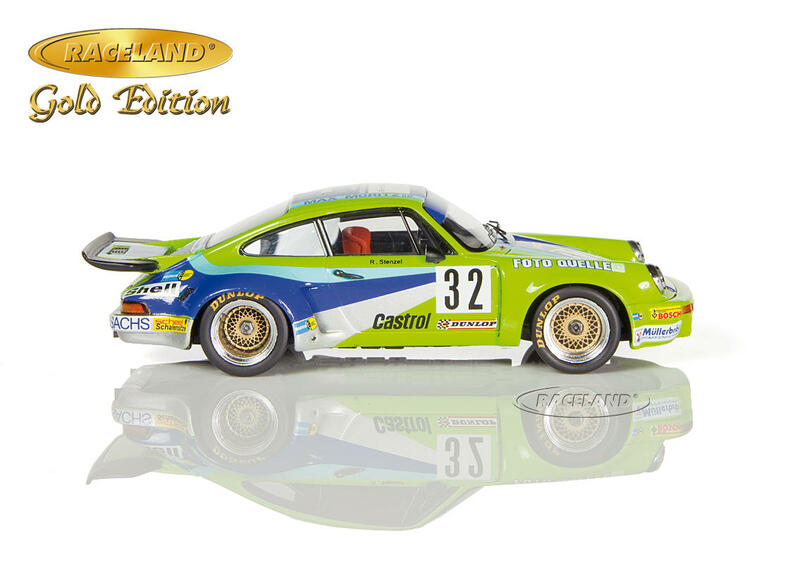 The product "Porsche Carrera RSR MaxMoritz Foto Quelle 2° DRM Norisring 1975 Reinhardt Stenzel" was successfully added to your wishlist. Raceland Gold Edition made by Spark 1/43rd scale. 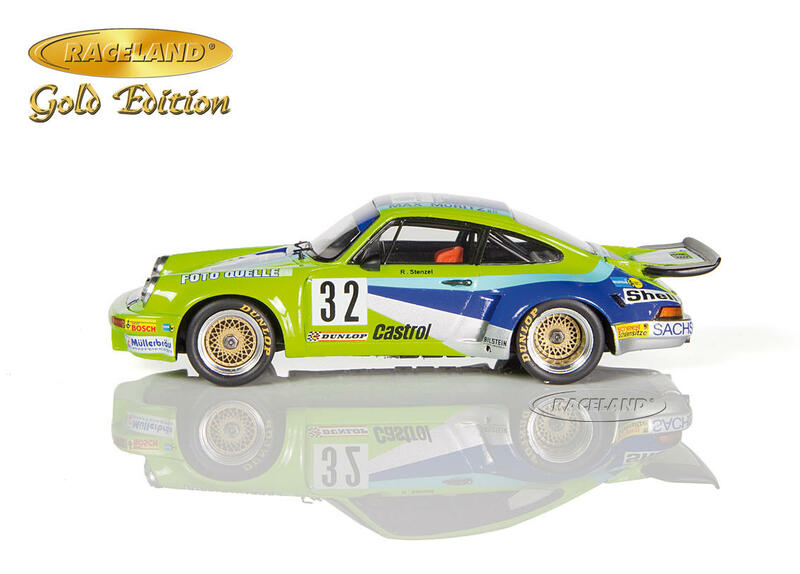 Special limited edition of 300 pieces made exclusively for Raceland. Individually numbered, special Raceland packaging. High quality resincast model car with photo etched parts 1/43rd scale. Model size approximately 10 cm. 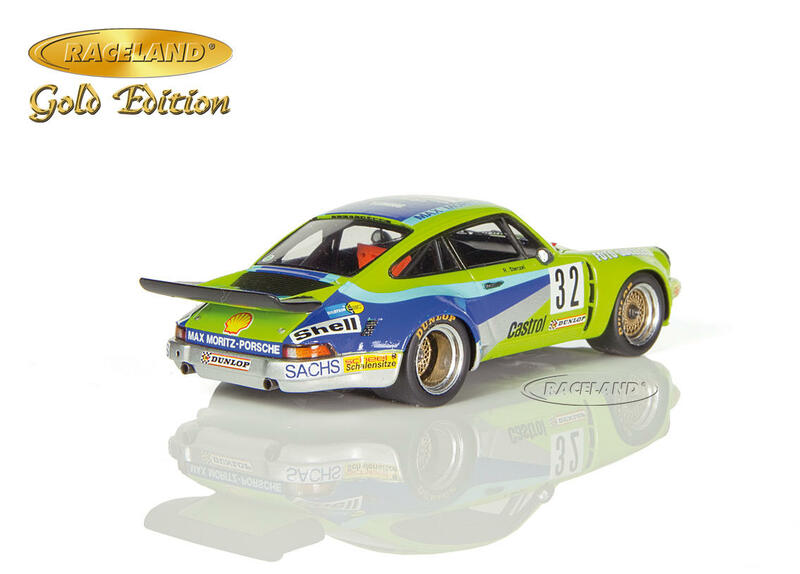 After victories with Alfa Romeo touring cars and his private Porsche Carrera RSR Munich Reinhardt Stenzel raced for the Reutlingen based MaxMoritz Porsche Team from 1974. Backed by German photo mail order giant Foto Quelle the green RSR became a regular on the podium. 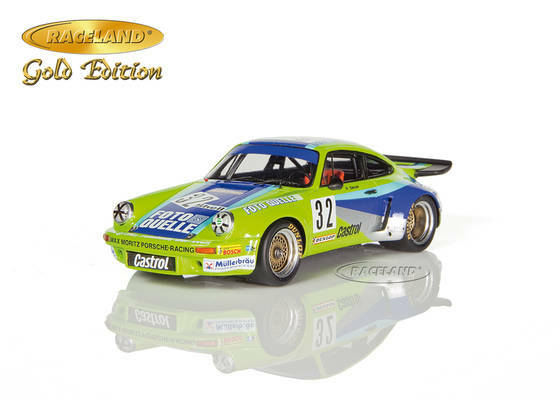 By mid-season of 1975 Reinhardt Stenzel held a sensational 2nd place in the German Deutsche Rennsport Meisterschaft championship DRM behind Klaus Ludwig's works Ford Capri RS before engine failures and retirements struck the team. One of his 1975 highlights was doubtlessly 2nd place at the Norisring round. After a thorough restoration the real car is run in the United States today showing exactly this Foto Quelle livery again.